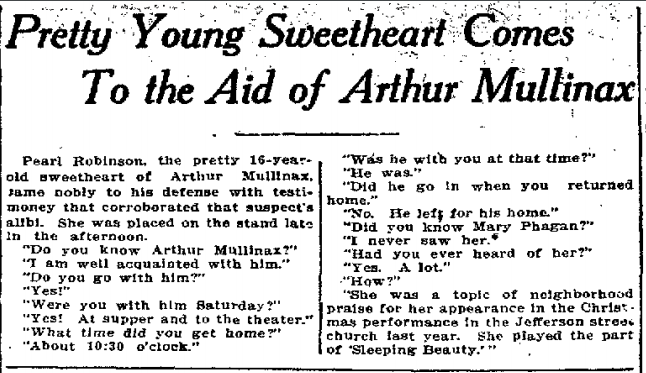 Pearl Robison, the pretty 16-year-old sweetheart of Arthur Mullinax, came nobly to his defense with testimony that corroborated that suspect’s alibi. She was placed on the stand late in the afternoon. Previous post: Did Murderer Seek to Burn Slain Girl’s Body, and Did the Watchman Interrupt Him?